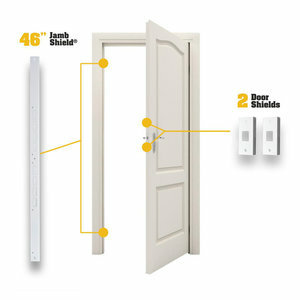 The Door Armor Door and Door Jamb Reinforcement Combo is the simple and effective way to protect your home or property in about 20 minutes. This kit comes complete with 1 Door Armor Jamb Shield and 2 Mini Door Shields. The MINI Combo Set is backed by the Door Armor $300 Lifetime Warranty against kick-ins. Installation time: about 20 minutes. 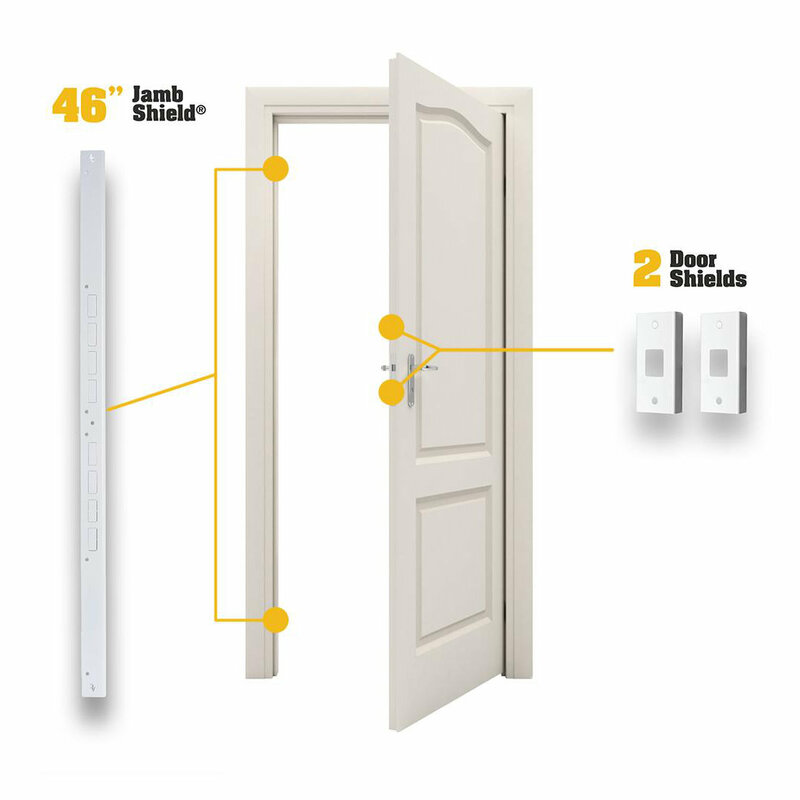 The Door Armor MAX Combo (door jamb and door hinge protection) and the Door Armor MINI Combo (door jamb protection) are the two approved products made by Armor Concepts®. All other material must be demonstrated in the field and approved by Fannie Mae prior to use.